An Anniversary Celebration and A Caramel Apple Martini Recipe – Design Your Lifestyle. The weekend of October 4, 2014, was an exceptionally beautiful one for many reasons. The rain cleared on Saturday afternoon, making way for a crisp, classic autumn weekend in New Jersey. The sun poked its face out of the clouds much of the weekend, and the cold air held off just long enough to make a beautiful October weekend outdoors possible. Caramel Apple Martini, the official drink of a beautiful October wedding. For Peter Salerno, his family, friends, and the Peter Salerno Inc. team, it was especially beautiful. Gabrielle Salerno, the head of Customer Relations and Social Media Outreach for Peter Salerno Inc., married the love of her life (the wonderful Brian Mayer), and Mr. and Mrs. Mayer were the focal point of an intimate and stunning wedding and beautiful reception. It’s been three years since Gabrielle and Brian’s wedding day, and the couple has since welcomed beautiful baby Brielle into their lives (as well as their puppy Harper). But there’s a delicious way we can all celebrate such a special occasion. 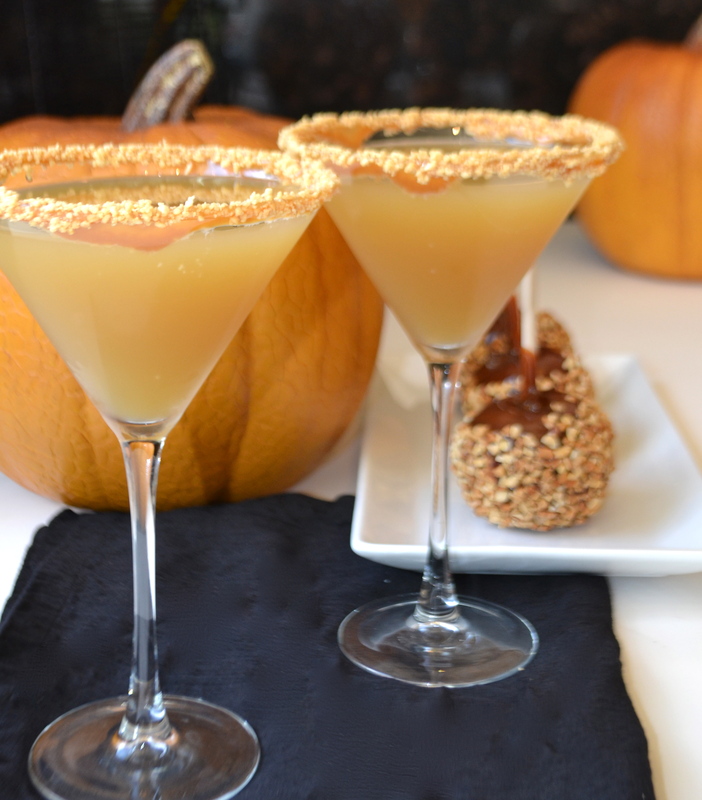 In honor of their 3rd anniversary, we’re sharing Gabrielle & Brian’s “special” reception cocktail with you all – a sweet Caramel Apple Martini that will perk you up on a cool fall day. While the reception venue (the Estate at Florentine Gardens) has its own proprietary recipe for a Caramel Apple Martini, Peter Salerno Inc. has found its own favorite recipe for the drink online. The lovely Caramel Apple Martini cocktail recipe in question is courtesy of FoodViva, and it’s a perfect marriage (much like Gabrielle and Brian!) of laid-back and appealing. So if you’re 21 and over, and you love the idea of a smooth cocktail on a fall day, then make yourself a Caramel Apple Martini, raise a glass to the happy couple, and enjoy! Fill up cocktail shaker half way through with crushed ice. Add all martini ingredients in cocktail shaker and shake for 30-35 seconds. Pour mixed drink through strainer into serving glass, drop cherry in it and serve. As an added treat (as pictured courtesy of SocialifeNJ), try garnishing the rim of your glass with caramel and crushed almonds!